Take the wraps off that old motor in the garage turn the key in the ignition, and the likelihood is that there will no response from underneath the bonnet. Unfortunately years of inactivity have taken their toll on the engine and the very least that is needed is a thorough MoT before even thinking about hitting the road again. The same is true for those intent on running their way back to fitness. Reality TV may present some of the more extreme examples of physical neglect and their fight to get back on their feet as popular entertainment, but the truth is that you don’t have to resemble a couch potato, or even a whole bag of them, to be unfit. Indeed first impressions can be deceptive. Just like the old motor, we may still scrub up well on the surface, but it is underneath where the effects of inactivity have left their mark. Which brings us to the thorny question of booking an appointment with the local GPs’ surgery. Now nobody likes going to the doctor; for some, even getting as far as the receptionist can leave them feeling queasy, but the reality is that turning up to ask for a pre-exercise check-up is going to make you very popular with Doc. Not only will regular workouts reduce his or her workload, they may well save money in terms of prescribed medication and trips to the hospital in later years. But the aim of the initial check-up is to avoid an even more imminent trip to the hospital. Asking your heart, lungs and joints to suddenly burst into life after a long sabbatical can potentially be fatal. But let’s not be too pessimistic here. In the majority of cases, it is simply going to be a case of ensuring that heart and chest sound in good working order and your blood pressure is at a healthy level rather than at the stage where over-extended arteries are going to be put under even more strain. As a precaution, the doctor may advise a blood test, for example to check the level of cholesterol in the blood stream, or the blood sugar level. Again, any suggestion of blood tests is going to get many people running in the opposite direction but it cannot be stressed highly enough how important these checks are. For example, raised blood pressure or a high cholesterol reading point to potential problems in the future. Reducing the risks of future problems will include altering both diet and integrating an exercise regime into the weekly routine. So even if vanity was the initial motivation for taking up running, the doctor will have provided a much more fundamental reason to get fit. 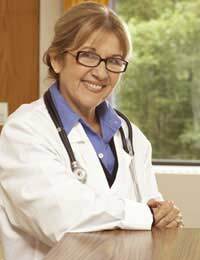 Naturally, asking for a check-up becomes more important for those of a certain age, over 40 to be precise. But don’t make the mistake of overestimating your level of fitness because you happen to know the Arctic Monkeys are not to be found on the Discovery Channel. The younger you are, the less likely it is that the doctor is going to uncover any potential problems, but it is still worth knowing you can start running, confident in the knowledge that the engine is in good working order.